On April 25th, Dr. Erik Peper will be presenting a webinar on biofeedback and cancer based on his latest book; Fighting Cancer-A Non Toxic Approach to Treatment which was co-authored with Robert Gorter, M.D., Ph.D. The book describes a new paradigm of understanding and treating cancer by focusing on mobilizing and activating the immune system. One in two people will get cancer, one in three will die of it—What can you do? The webinar explores the need for a new prevention and treatment paradigm. It overviews cancer risk factors, strategies to mobilize the immune system through self-care, and the Gorter protocol. If you, your patients, or any of those you love are dealing with cancer, this is an excellent opportunity for discovery, and to enjoy Dr. Peper’s always spellbinding presentation. 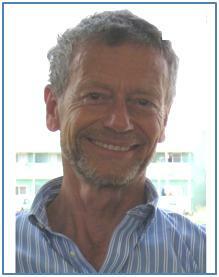 Erik Peper, Ph.D. is an international authority on biofeedback and self-regulation. He is Professor at the Institute for Holistic Healing Studies / Department of Health Education at San Francisco State University. He is President of the BFE and past President of the Association for Applied Psychophysiology and Biofeedback. Dr. Peper’s best-selling book “Muscle Biofeedback at the Computer,” is a practical manual used by San Francisco State University as part of its program for which Dr. Peper received the 2004 California Governor’s Safety Award. For more information on maintaining energy and health at work and a series of healthy computing tips, visit Dr. Peper’s blog The Peper Perspective. "We all know the power of biofeedback and neurofeedback to change people’s lives for the better. It is safe, effective and lower cost over time than virtually any alternatives. Yet it is a relatively unknown treatment, rarely mentioned in the media. This conference will address how to increase biofeedback’s visibility and get treatment to more people, while expanding our individual practices and the field. If you’re passionate about biofeedback and its potential, please join us to make a difference!" Anyone working in the field knows of the challenges we face as an industry. 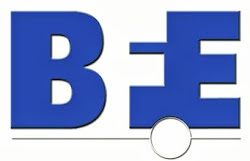 Part of the BFE's mission as a non-profit community interest company is to promote the field of biofeedback both internationally and regionally. To achieve that objective, we promote the work of our affiliates through social media, press releases, blogs. Our Program Director, Mark Schwartz will be presenting a workshop on "Marketing of Biofeedback on the Internet" and looks forward to seeing you there. And just as a reminder, the NRBS welcomes members from around the world. Click here for information on joining their society. Thank you to the NRBS for leading the way on this important topic!